éirígí condemns the arrest of another four people, including a fourteen year old child, this morning in relation to a legitimate anti-Water Tax protest in Jobstown last year. With twelve arrests over the last three days it is now clear that the state is attempting to criminalise the largest mass movements of recent decades. 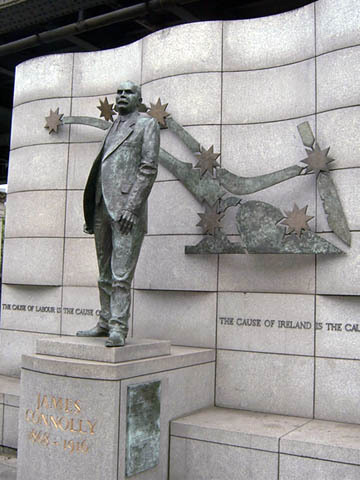 Attempts to criminalise legitimate political struggle have a long history in Ireland. For centuries those attempts have failed and they will fail again on this occasion. 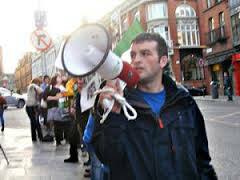 We extend our solidarity to all of those who have been arrested over recent days and repeat our call for the closure of all criminal investigations into the Joan Burton protest. Cathaoirleach éirígí Brian Leeson has slammed the arrest of his party colleague, Scott Masterson, and a number of others on charges of ‘false imprisonment’ of Joan Burton. Below are the 20 most hit-on pieces on the blog. The top two – on women’s rights and the national struggle 1916-1922 and the aftermath of the 1972 British Army’s Bloody Sunday massacre – both have almost 3,500 hits. The ‘Censored’ public lecture series has returned to the National Print Museum/Músaem Náisiúnta Cló. It actually began on January 15, so I have been somewhat remiss in advertising it. This part of the series will focus on censorship in Ireland, 1700-2000. The speakers are looking at a range of topics relevant to the history of censorship in Ireland, including the impact of major developments in printing technology. Individual writers like Jonathan Swift and Kate O’Brien, whose works prompted controversies that resulted in works by them being banned, will also receive attention. The lectures are free to attend with each paper lasting an hour, including question time. Admission is free but, because there is a limited number of seats, it’s best to book in advance.